Lagosians, especially residents of the communities where the Gov. Akinwunmi Ambode-led government embarked on road rehabilitation, have expressed concern over the abandoning of the projects midway. In separate interviews with people in the affected communities by DAILY POST, worried commuters said the abandoned road projects have worsened the state of the living especially as dry season sets in. In Ojokoro Local Government Area, some of the roads started have been abandoned since the issue of Ambodeâ€™s re-election bid began. A resident of Ojuelegba road at Dalemo Alakuko, Oluwafunmilayo Olanrewaju, lamented that the abandoned road has been causing Catarrh for the residents due to dust that emanates from the road. She complained, â€œThese roads have become more worsened than they were initially. The government shouldnâ€™t have started it when they knew they would not complete it. â€œIf you were here during the rainy season, you would run because everywhere was swampy, no commuter could pass freely. And now we battle with catarrh as dry season sets in due to the dust that emanates from the road every now and then. A driver at the Ojokoro axis, Mr. Lasisi Wasiu lamented that the reason for the incessant hold up encountered on Oshodi-Abeokuta Expressway was due to the fact that the vehicles could no more maneuver their ways to the abandoned inner roads. According to him, some of the roads were abandoned at the stage they could not be used by motorists and even pedestrians. Mr Titilayo Adebanjo, a resident, lamented the poor condition of the Epe-Ikorodu Expressway, saying that governmentâ€™s attention should urgently be shifted to the bad road. â€œThe potholes on the road are becoming unbearable for motorists. â€œThe journey of 45 minutes now takes more than two hours,â€™â€™ he said. Adebanjo said that accidents happen frequently on the expressway due to the bad state of the roads. â€œIf these situations are not addressed on time, the roads might turn to death traps for motorists/visitors, thereby, claiming lives and property,â€˜â€™ he said. Mr Niyi Rahman, a motorist, urged the government to intensify efforts to complete the roads as the projects were 70 per cent completed. â€œGov. Ambode-led administration has really done well in the area of infrastructure development across Lagos State but needs to do more. â€œThe present administration should use the remaining months in office to complete ongoing projects across the state. â€œThe era of abandoned projects should be a thing of the past. Government should ensure completion of the projects before leaving office,â€˜â€™ he said. â€œThe major link road to Epe is becoming an eyesore and not convenient even for other intra-state connections. â€œIf government can complete the expressway, it will boost trade and business relationship among Lagos State and other states,â€˜â€™ he said. Dr. Mufutau Jimoh, an indigene of Epe, said that since Gov. Ambode lost out in his primary re-election bid in October, some road projects across the state have been suspended. Jimoh urged the governor to use his good office to complete the projects embarked upon the administration. â€œIf all these projects are not completed, it will end up like other abandoned projects. It might end up being a burden to the incoming government. â€œThe new government will come with its own projects idea. Therefore, the present administration should complete the projects at hand,â€˜â€™ he said. Mr Mark Olaniyi, also an indigene of Epe, said that the present administration had done well by extending hands of fellowship by providing the ancient community of Epe with a befitting road networks. â€œI am however appealing that the road construction should not be abandoned. Let the governor ensures that the roads are completed before leaving the office. â€œI have noticed that for the past few months, government has not been doing anything on the road project. â€œAll projects have been left half way. This is not encouraging. â€œThe uncompleted projects are costing motorists a lot and also leaving the community with unbefitting road conditions, â€˜â€™ Olaniyi said. The residents were worried that the incoming governor may not see to the uncompleted road projects as and when due. 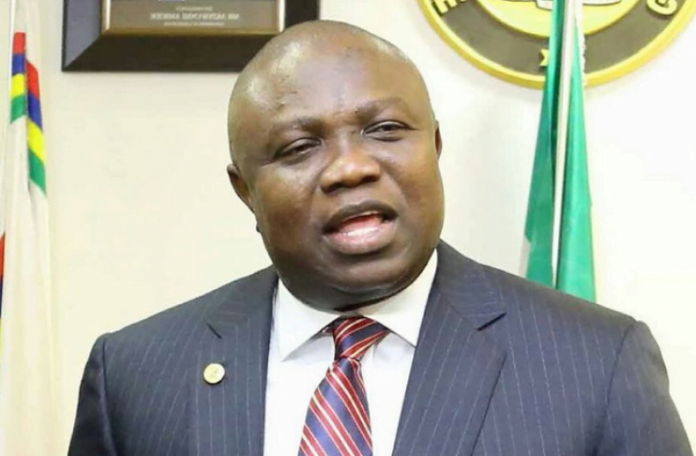 However, Governor Ambode had promised that he would complete all the projects his administration embarked upon and deliver them as he promised, and that his successor would complete any project he could not finish. He told Lagosians that the All Progressives Congress, APC, candidate, Babajide Sanwo-Olu would not abandon any project he (Ambode) might not be able to finish. According to the Governor, while efforts were on by his administration to complete all the major projects initiated by his administration, Sanwo-Olu would nonetheless complete those he was unable to deliver before the expiration of his tenure next year.